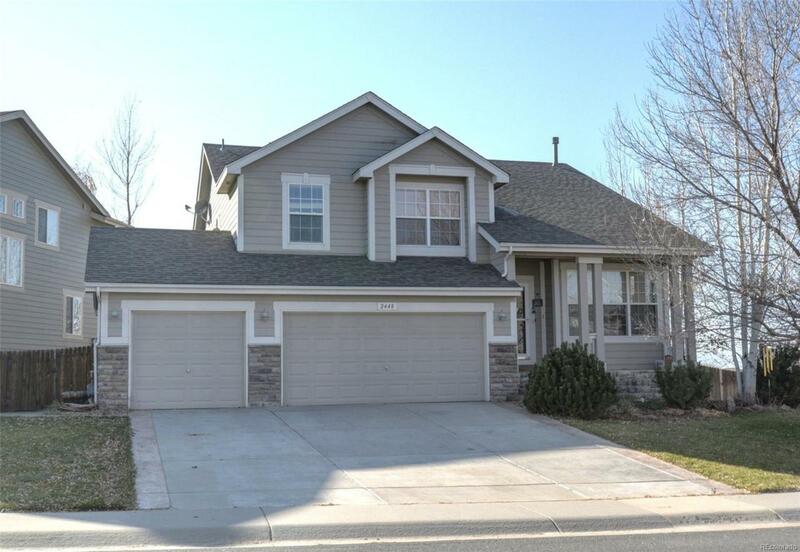 Beautiful 3 bed / 3 bath home in Pioneer Ridge with amazing mountain views. Tons of professional upgrades. Custom cherrywood fireplace & entertainment center. Custom granite tops and tile backsplash. Spacious master with 5piece luxury master bath. 3 car attached garage. Large custom back deck w. natural gas BBQ hookup, perfect for entertaining. Professional landscaping in backyard. New upsized AC, new water heater. Walking distance to Pioneer Ridge Elementary School and neighborhood parks. Offered by Coldwell Banker Res Brokerage.